What happens in & around ? Please like or follow our new facebook page. You will find more photos and videos of our upcoming events. Much more to browse through whoever you are visitor, host or trader, or even looking for a summer job. The principle of Democracy is the Separation of the three powers which are: Executive (Government), Legislative (Parliament) & Judiciary. especially when the Judiciary is nominated by the said government. The abolition of Seanad will end up having all the powers in one hand, something which is usually called... a DICTATURE! If a necessary thing does not work (a car for example), do you just scrap it and forget about? or do you fix it? Separation of Powers' principle was first laid down by Thomas Paine and first implemented in both American Revolution and Constitution preceding the French ones. as the consequences will be the same to the people." As a result of our on-going procedure improvement, we have updated our Host Terms & Conditions. The version 4.3.1. is available on request. Some amendment can be seen on this website in the relevant section. As a sign of those times, it is getting more difficult to get quality French stalls over, as a consequence the ratio of stalls has now evolved to: 30% French, 30% Continental and 40% Irish. It is somehow pleasant to restart our activity after a year hiatus where we ended. Repeat business showing customers' satisfaction. and so for this new Era. May it to be an Era of Individual Responsibility... ! This decision has been taken to allow the development of new activity... more news to come soon! Result of 3 years experience, we have finalised an updated package to facilitate the invitation process for our hosts, for any event or venue and the coordination with our host for a smooth operation. This includes our 2012 Host brochure (presenting our invitation schedule), our Event / Venue Assessment Form, our Proposal / Contract Form and our Host Terms & Conditions. A great achievment which will bring our business from walking to running and a smooth run! PS. The Event / Venue Assessment Form is available for download. All other documents are available on request only. Following yesterday Gale and Weather Warnings issued by Met Eireann, we have decided to cancel today's market. The Highest Christmas Market in Ireland will be held on Friday 25th and Saturday 26th of November, in Broomfield, Slane, Co Meath. 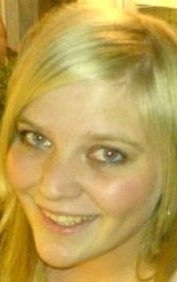 Duty Management for the duration of the Events. We take this opportunity for thanking her for brinking our venture forward through hard work and dedication. Result of our 2 years experience, we have finalised a package to facilitate the invitation process for our hosts, for any event or venue. This includes our 2011 Host brochure (presenting our invitation schedule), our Event / Venue Assessment Form, our Proposal / Contract Form and our Host Terms & Conditions. With several feed back from last year, we have completed this must see section, where you will see the feel good factor spreading all around. The review of 2010 is now available with pictures taken at our different events. With her positive attitude and her hand-on approach, we are very confident in her smooth integration and her realisations to come. Having worked from France for the preparation of our schedule, I am now back full time, travelling around Ireland 32 counties. Feel free to contact would you wish me to visit you. 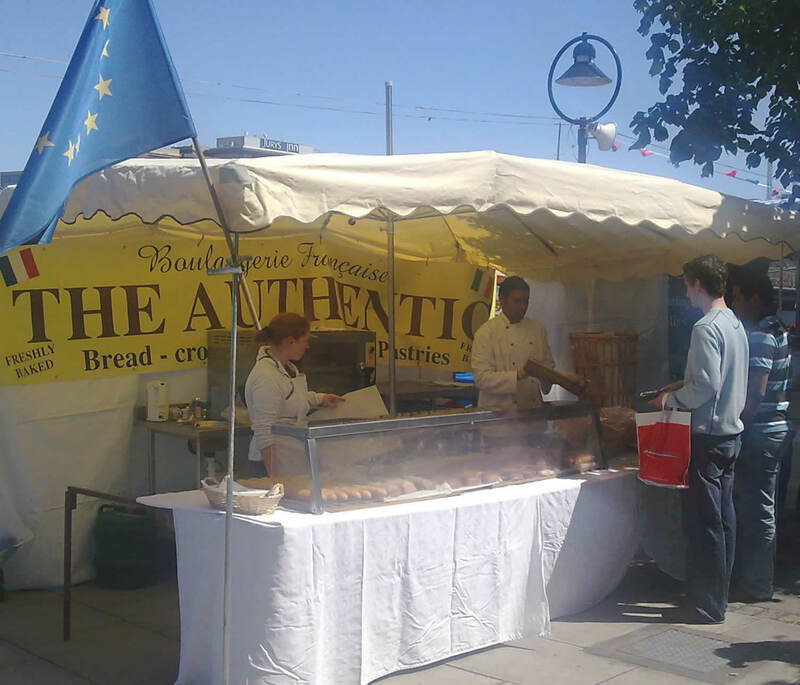 Beginning of July, while visiting Kells for the first time, the French Market of Ireland was delighted to welcome back its traditional French Bakery: "L'Authentique"... Much welcome after being missed for over 9 months! 16/05/2010 - Where will we be next? The French Market of Ireland is delighted to have confirmed 4 bookings over the last week including a "come back" to the 2010 JFK Dunbrody Festival in New Ross, from 16 to 18 July. As a new venture, it is always difficult to value our results. However, when councils and committees which have only worked with us once, come back to us for their next and/or new event, it is a good sign. An other good sign is when you have a competitor literally following you?! For our first market of the year, the French Market of Ireland has lined up 15 traders on Market Square in Kildare Town from the 19th to 21st of March. Apologies for any undue delays! Due to IT issues, emails & queries as far as 15/02 have not been answered yet. Our apologies for any inconvenience caused. Contact will be made this week. Backing up your data is important, but as much as ghost of your system... If you need more information on this please contact your IT providers, for having your hands-on a fast recovery system. Integrity, Conviviality and Fair Trade. Not so easy we said... no one has found the exact answer! A draw was required amongst the closest ones. 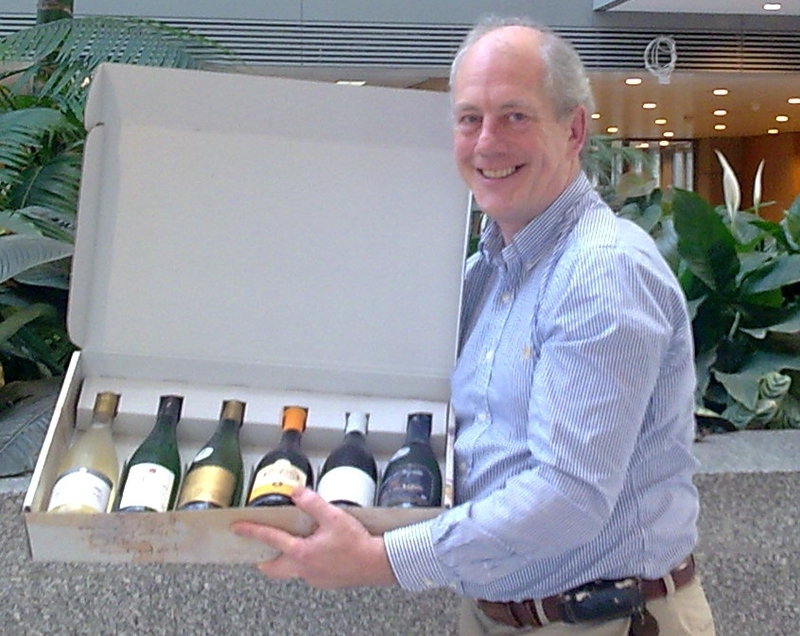 Who win the Gift box with 6 bottles of wine from the Loire Valley? from the Events Unit at Dublin City Council. Congratulations to Conor and to all participants. What are the 3 values of our Market? as shown in our new Brand? Our new brand and logo have been launched at last the Aoife Conference. To celebrate, we have a simple (but maybe not so easy) quiz for you. 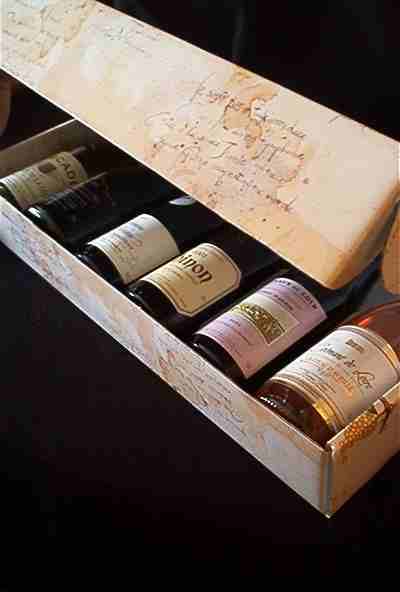 To win: Gift box with 6 bottles of wine from the Loire Valley! On the 5th & 6th November 2009, the Association Of Irish Festivals & Events, Aoife will held its 16th Annual Conference. The program has been arranged by Fergus Linehan on the theme: "Festivals & Cultural Events Helping Ireland’s Recovery". This will be held in Ballinasloe, Co. Galway for the 3rd time in a raw. Meet you there!